As all eyes were on Australia in the Asia Pacific cloud computing space, New Zealand has taken a similar leap through the Institute of IT Professionals NZ (IITP) and published an updated cloud policy, called the Cloud Code. The v2.0, released today, has two key agreements for all potential signatories: no cloud washing, and upfront disclosure of cloud products and services. By James Bourne, 24 July 2013, 0 comments. Categories: Best Practice, Regulation, Security, SLA, Vendors. Ian Brown, Senior Analyst, IT ServicesLike many of its peers in the telecoms industry, European network provider Colt is building up its IT services portfolio, of which cloud is an integral part. Network operators such as Colt own two key assets for the delivery of cloud computing: networks and data centers. They also have a key motivation for turning to the cloud: declining revenues in their legacy communications businesses. By Ovum StraightTalk, 16 July 2013, 0 comments. Categories: IaaS, Industry, Vendors. Microsoft has had a lot to say in terms of cloud computing developments in recent months, and this latest report in association with IDC may come as no surprise: channel partners who have more than 50% of revenue in cloud are experiencing major payoffs in business growth. By James Bourne, 09 July 2013, 0 comments. Categories: PaaS, Public, Research, Vendors. More companies moving sensitive data to the cloud - but who's responsible? 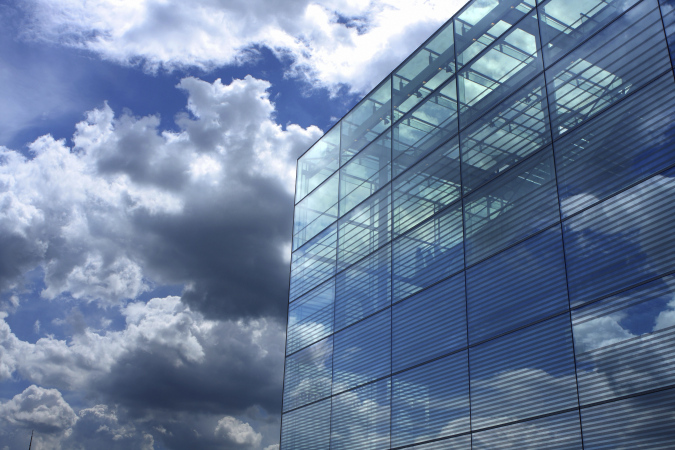 More and more companies are transferring sensitive data to the cloud, according to the latest report from Thales e-Security and the Ponemon Institute on cloudy data encryption. Over half (53%) of survey respondents said they were transferring such data, with a further 31% stating they were looking to push ahead in the next 12 months. By James Bourne, 04 July 2013, 3 comments. 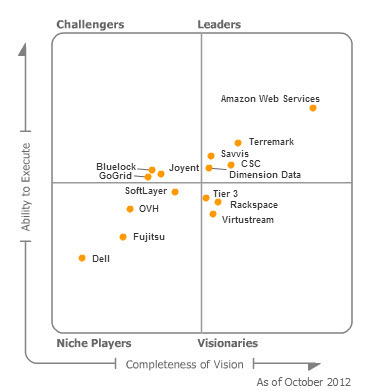 Categories: Big Data, IaaS, Research, SaaS , Vendors. Like businesses across all sectors of the economy, cloud service providers are far from immune to the worst ravages of the recession. But when a provider does go bust what happens to the businesses that have put their faith, money and resources in finding a suitable partner and are now threatened with losing services, resources and data as a result of their collapse? By Pippa Rhys, 06 June 2013, 1 comment. Categories: Disaster Recovery, SLA, Vendors. By ZapThink, 05 June 2013, 0 comments. Categories: Enterprise, Public, Vendors. By BMC Communities, 14 May 2013, 0 comments. Categories: Compliance, SLA, Vendors. Evangelising development on any cloud computing or enterprise platform is challenging, costly and takes a unique skill set that can educate, persuade, sell and serve developers at the same time. By Louis Columbus, 13 May 2013, 0 comments. Categories: Applications, IaaS, Research, Vendors. By Ovum StraightTalk, 17 April 2013, 0 comments. Categories: Enterprise, UnifiedComms, Vendors. By Ray Vallillo, 12 April 2013, 0 comments. Categories: Architecture, Compliance, Infrastructure, Regulation, Vendors. By Ovum StraightTalk, 08 April 2013, 0 comments. Categories: UnifiedComms, Vendors. By Ovum StraightTalk, 03 April 2013, 0 comments. Categories: Adoption, Architecture, Infrastructure, Vendors. By Ovum StraightTalk, 06 March 2013, 0 comments. Categories: CRM, Vendors. By Ovum StraightTalk, 01 March 2013, 0 comments. Categories: Best Practice, CRM, Research, Vendors. By Louis Columbus, 28 February 2013, 1 comment. Categories: Industry, Research, Vendors. By Louis Columbus, 21 February 2013, 0 comments. Categories: Best Practice, Vendors, VMware. Who controls the cloud market – providers or consumers? We first went from reserving cloud capacity to securing capacity on-demand, and then we even started to bid for unused capacity in the spot market – all in an effort to decrease cost in the cloud. Can we take this one step further? Instead of us bidding for capacity, wouldn’t it be interesting if we can get providers to bid for our demand? By GreenPages Technology Solutions, 14 February 2013, 0 comments. Categories: Consumer, Vendors.